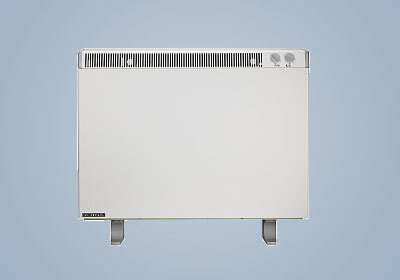 Manufactured by the world famous Stiebel Eltron heating company, the ETC 85 M storage heater enables the user to get the benefit of low-cost, off-peak electric heating in the smallest of rooms. The compact design ensures that it will fit into most small bathrooms and other areas such as cloakrooms, landings & toilets. 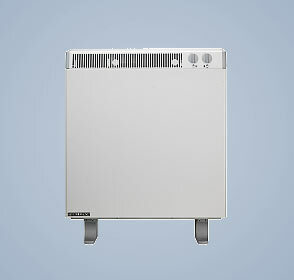 The integrally mounted controls are preset to give optimum performance and with no external controls this heater is ideal for installation in bathrooms. Manufactured by the world famous Stiebel Eltron heating company, this heater features modern design and colour, manually adjustable thermostat and room temperature boost control. Easy to use control knobs can be made tamperproof. Quick and easy to install, wall-fixed for added safety with front facing grille and stylishly-designed feet. Compatible with all off-peak tariffs, self-resetting over-heat protection and a manual reset high temperature cut-out with no fusible link to replace. 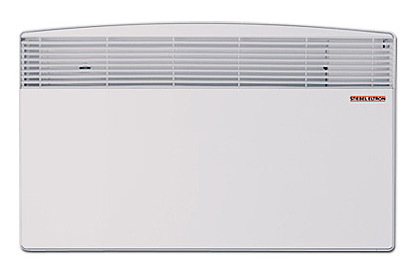 Manufactured by the world famous Stiebel Eltron heating company, this heater features modern design and colour, weather dependent Automatic charge regulator and room temperature boost control. Easy to use control knobs can be made tamperproof. Quick and easy to install, wall-fixed for added safety with front facing grille and stylishly-designed feet. Compatible with all off-peak tariffs, self-resetting over-heat protection and a manual reset high temperature cut-out with no fusible link to replace. 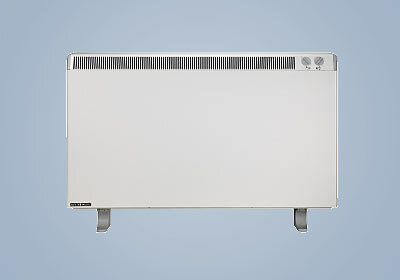 The CNS U Panel Convector heaters are the popular choice for specifiers, home owners and contractors who demand stylish, space saving and efficient electric heating systems. 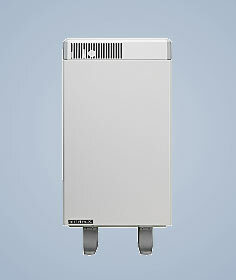 The heater is an ideal solution for heating a bathroom or as additional heating for small rooms. It features a variable thermostat range from 6 to 30°C, integral frost protection setting, is IP24 rated and has visible and simple to operate controls. The CNS UT Panel Convector heaters have a built in 24 hour timer and are the popular choice for specifiers, home owners and contractors who demand stylish, space saving and efficient electric heating systems. 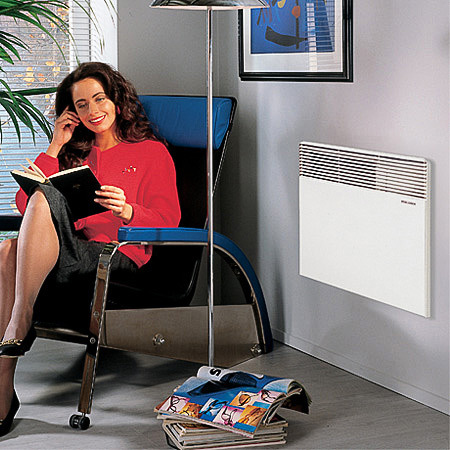 The heater is an ideal solution for heating a bathroom or as additional heating for small rooms. It features a variable thermostat range from 6 to 30°C, integral frost protection setting, is IP24 rated and has visible and simple to operate controls. 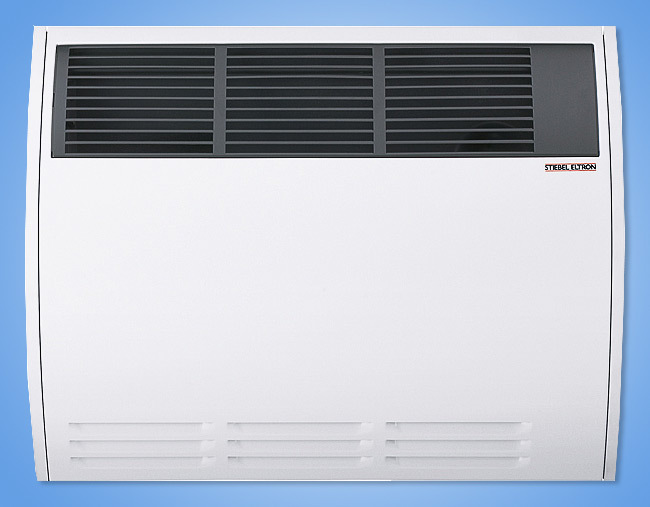 The CON ZS Panel Convector heaters are the popular choice for specifiers, home owners and contractors who demand stylish, space saving and efficient electric heating systems. The heater features a integral room temperature controller, stylish bow fronted design, variable temperature selection, 24hr timer switch and is rated splash proof IP 24 so can be installed in bathrooms (Zone 2). Pure alpine white finish.